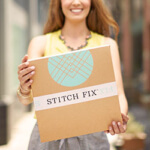 Instead of letting your skirts hibernate through the winter, try these Stitch Fix tips for styling these pieces in the colder months. To keep your legs warm this fall and winter, stock up on an assortment of tights and leggings to layer beneath your skirts. We suggest classic colors such as black, navy and camel. 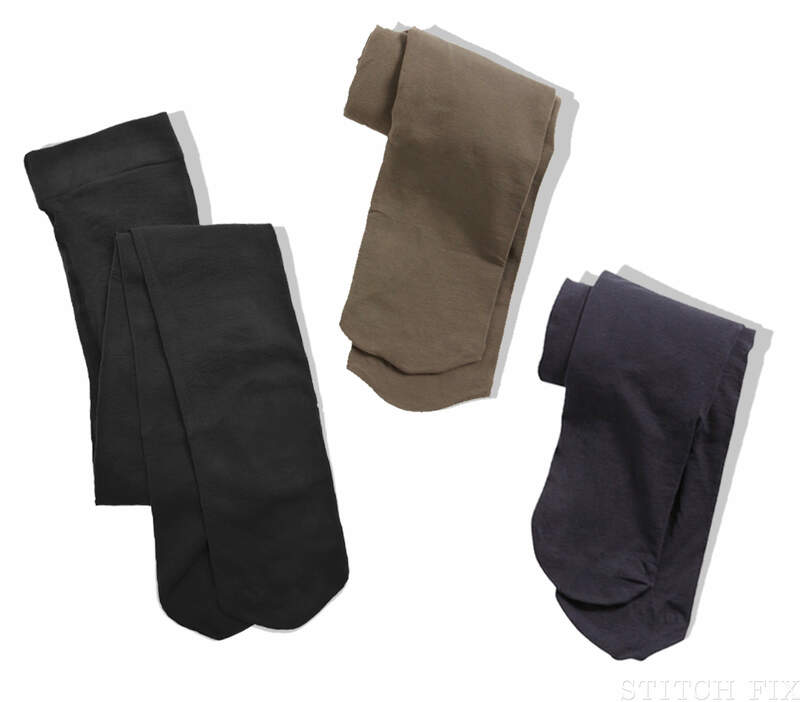 For a fun color blocked style, try a pair in your favorite bold color such as eggplant, mustard or cranberry. The Flora Striped Fit and Flare Skirt ($48) has a great balanced stripe for fall. Make sure to pair this piece with seasonally appropriate complementary colors such as camel leggings and rich brown boots. 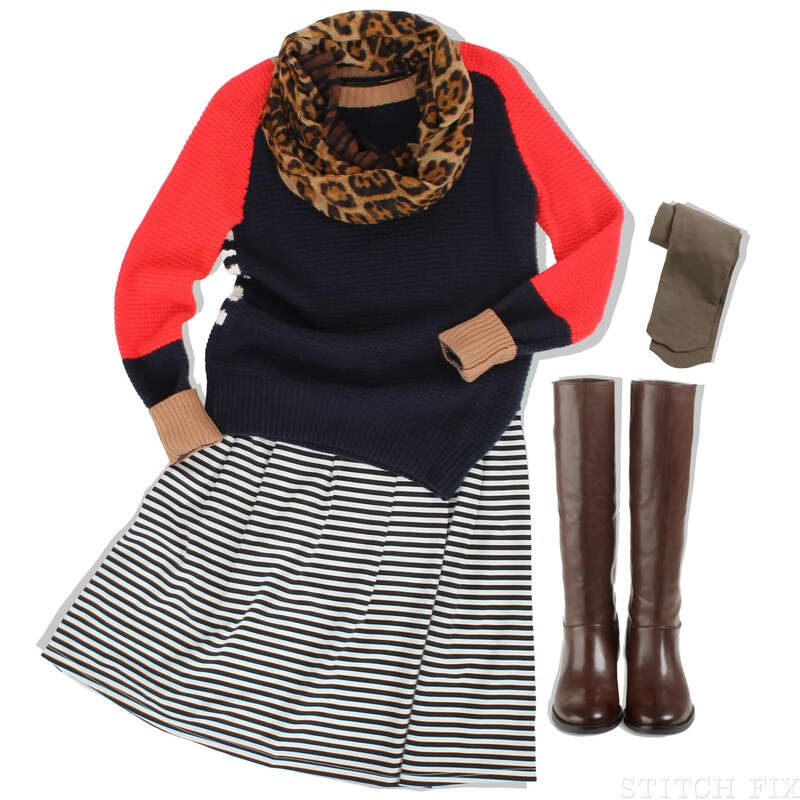 To add a pop of color we styled the skirt with our Aurinda Color Blocked Sweater ($88) and our Leopard Print Infinity Scarf ($28). For an office-ready look, we paired the Fiore Box Pleated Skirt ($98) with a blouse, boots and belted trench. Starting with navy tights as the bottom layer we added the sapphire-hued skirt, tucking the Dawson Heart Print Blouse ($68) gently into the waistband. Complete the look with booties and an essential outer layer such as the Liz Double Breasted Trench Coat ($148). The saturated crimson color of the Isabella Pleated Skirt ($58) makes this piece perfect for any holiday-themed event. The on-trend faux leather details in the Archie Front Ruffle Faux Leather Trim Blouse ($48) and the Adella Faux Leather Trim Moto Jacket ($88) add a subtle edge to the flirty and feminine skirt. Finish the look with sleek black tights and burgundy heels.